So when your an enormous MMA fan like me, then I know your always looking out for a list of UFC events – and now you just need to know where you can buy UFC tickets. Well stay cool, because at the MMAGateway, you are going to get both, so you can see all the upcoming events and plan which ones you want to go to, then you can book tickets to attend the event. Today I will give you an overview breakdown of the fights, for the UFC 214: Cormier vs Jones II event on Saturday July 29th in the famous Honda Center, Anaheim, CA. 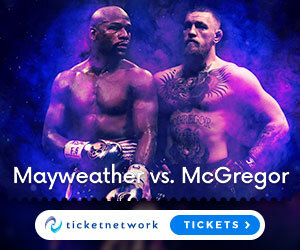 So get ready for the real deal – everything you need to know about the fights, and the best place to get tickets, so you can have a booming night of entertainment! Before we breakdown the fights, lets just have a brief word about the current main event for the card – because when Daniel “DC” Cormier and Jon “Bones” Jones lock horns again, it could go down as a truly classic rematch. I doubt this fight will be the main event as more fights get announced, because the UFC owners have tried to make this fight two times before and both times the fight fell through, mainly due to Jon Jones getting in trouble outside of the cage. So I doubt the UFC owners will take that risk again, but if Cormier vs Jones doesn’t end up being the main event, it will certainly be the co-main. So as we mentioned at the top – Daniel Cormier vs Jon Jones is currently scheduled as the main event, even though i think it could end up dropping down to the co-main. The fight itself should be a collision between the best two 205 pound fighters in the world. Both men have incredible wrestling pedigree, especially Cormier, and both men have an unbreakable will to win. Both have insane cardio and durability as well, so they have been in multiple 5 round fights, and have taken heavy shots from the hardest hitters yet still been able to find a way to win. DC will want to win this rematch so much, but for me as in the first fight Jon Jones has a sizeable advantage on the feet in my eyes, which i believe will be the difference maker here, so I’m going with Jones to win this. Jimi Manuwa vs Volkan Oezdemir will likely be the co-main event on this card, and boy what a fight this should be – both men have been looking incredibly impressive at 205 in their past few outings where Jimi Manuwa has notched up back to back KO wins over Ovince St.Preux and Corey Anderson. While Oezdemir after having a close split decision win over Ovince St. Preux in his UFC debut, has just knocked out Misha Cirkunov in 28 seconds of the first round. Manuwa and Oezdemir both seem to hit hard and prefer standing, so this will not likely go to the judges – expect an exciting finish here! Doo Ho Choi vs Andre Fili, Well lets be honest all MMA fans have been desperate to see Doo Ho Choi back in action again after his fight of the year performance against Cub Swanson in 2016. This will be no easy bounce back though, as Andre Fili is no joke and always brings his whole heart to the cage. But if I was a betting man, I would go with Doo Ho Choi to get this win somehow, but likely via KO. Renan Barao vs Aljamain Sterling is another big fight on this card, with Renan Barao and Aljamain Sterling getting back into winning ways recently, the question is who will take the W in this great 135 pound bout. I expect Sterling to come out with a string kicking game, while mixing in take downs, but Barao will be looking to stuff those take downs and keep the fight in the boxing pocket range. Very tough fight to call, but I think Barao will just edge it based on his championship experience. Sara McMann vs Ketlen Vieira is a really exciting 135 pound women’s bout, because Viera is undefeated in her MMA career and McMann has been looking great recently on the back of a 3 fight winning streak. I really feel that McMann has got another title run in her, so i expect that she will find a way to get the win in this bout with her superior wrestling base, and good power boxing game. Cristiane Cyborg Justino is going to be on this card from what we hear – no opponent scheduled yet, but her being on the card is a treat enough in itself. Also we have: Ricardo Lamas against an as yet unannounced opponent, Sage Nothcutt vs Claudio Puelles, Brian Ortega vs Renato Moicano, Eric Shelton vs Jarred Brooks, Dmitry Smoliakov vs Adam Wieczorek, Kailin Curran vs Aleksandra Albu and still more fights to be announced! So we have looked at all the fights, we now need to get to the bottom line details of how much the tickets cost at the Honda Center on July 29th. Again as I always do, I have to remind you that every UFC card has its own individual set of ticket prices based on the running costs of the arena, how close you want to be to the action, and the calibre of name fighters on display. So these are the biggest parts that define the prices of the tickets really, and for this UFC 214: Cormier vs Jones II event on July 29th in the classic Honda Center, in Anaheim, California, the ticket prices currently vary from $314-$3,800.00 (USD). If you need to get a closer look at all the seating plans, costs and booking information, then you can do that right HERE. Lets get some California Love! So now you’ve got all the information you need on this amazing UFC 214: Cormier vs Jones II card on July 29th at the Honda Center in Anaheim, California. I mean personally I always loved that Tupac track California Love, so that’s what we all need to get in our lives on July 29th, and it will likely be great weather to take in some beach fun before and after the event! So get onto Route 66 and make sure you stop at Anaheim to take in a night of unmissable UFC action! You can always look at the list of UFC events anytime on the events page, but now if you want to get tickets for this UFC 214 event, then you must get your ticket in your hand – I suggest you book your ticket at my favourite site to make bookings. If your new or experienced, it makes no difference because no live event compares to a live UFC event in person, and right here at the MMAGateway you can always get the MMA event information you need anytime. Enjoy the action, and until next time stay on point! Highly anticipating this fight! Big MMA fan for years and years to come. This light heavyweight fight must happen! With all the hype its probably fight of the year compared to Aldo vs. Halloway. Jones is very athletic but may have some ring rust coming back and being out of the circuit as long. Hey Chris, yep your a legit fan i can tell 😉 and your right Jones vs Cormier could be the fight of the year at light heavyweight! Like you say Jones is a beast, but he could potentially look a little rusty here, and there’s no doubt Cormier has been sharpening his tools sitting on the throne while Jones has been away. If i see you at this event bro, i will definitely buy you a drink! Thanks for stopping by!